You can customise the messaging experience so that it matches your own brand and style. Setting your agent name and photo(avatar) properly can make for a more personal chat experience. Live Chat uses the name and photo associated with your GoSquared account. Therefore to set/update them you need to head to Settings > Your Account > Your Details. Name – click 'Edit' to change this and let your visitors know who they're chatting with. Agent photo – we try to automatically set a profile picture using Gravatar. However you can upload your own image by clicking on the picture in your account settings. Settings > Current Project > Assistant. Assistant colour – the main theme colour of the chat button and widget. Company name – used to brand the top of the top of the chat widget and your chat email template. 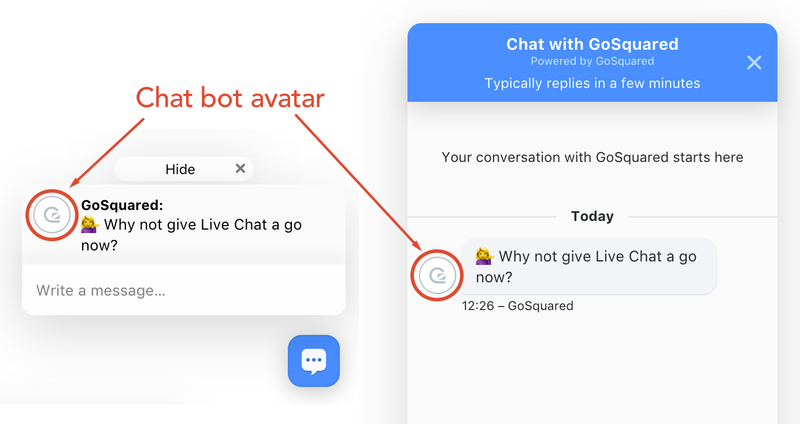 Chat bot avatar – the avatar used for automatic (bot) messages that you have set up (eg. Chat Prompts and Out-of-Office messages). Language – the default language that the chat widget will be displayed in. Auto-detect language – turn this ON if you want the Assistant to display in the same language as the users' web browser. For example if a visitor has their Chrome/Safari/Edge set to Spanish, Assistant will also display in Spanish (currently supports 17 languages). Position on page – set the button to show in the bottom left or bottom right of your website. 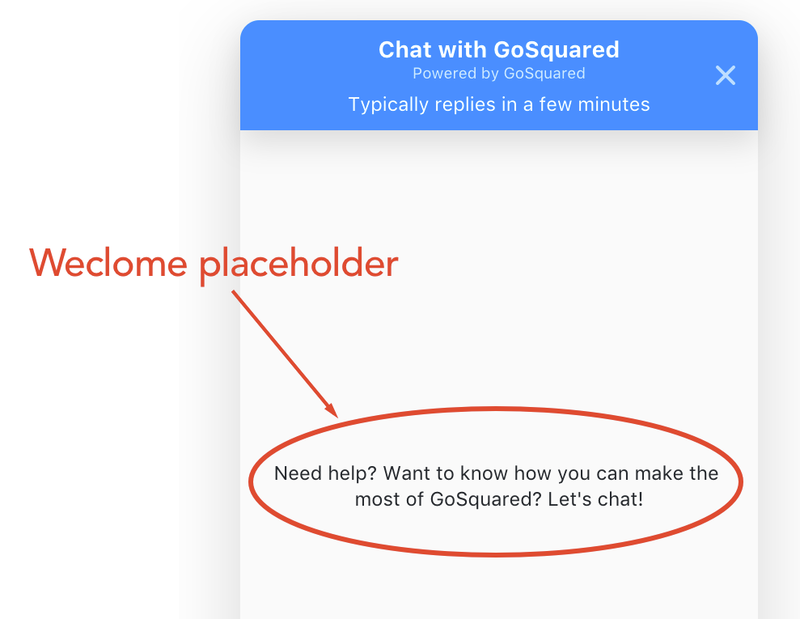 Welcome placeholder – what the visitor sees when they open the Assistant for the first time. If you have a developer on the team you can use more advanced customisation options that require additional code. Pick from 6 presets or use the 'Advanced' option to provide your own hex value. This will update the colour of the the Assistant button and the be the main theme colour. This is displayed at the top of the Assistant and used in your email signature when sending messages via email. Some automated messages such as out of office replies will also come from the Company chat bot. This is used for any automated messages that you have set up, such as out-of-office auto-responders. This text is shown in the Assistant before any messages have been sent.